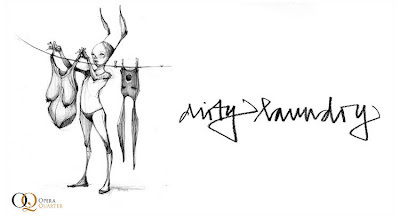 Also opening tonight in London is a new show entitled "Dirty Laundry" from Herakut. For the uninitiated, Herakut are unlikely collaborative German artists extraordinaire, the cunning confluence of aliases Hera and Akut. Campbarbossa has organized this very special commission-only Herakut show which will feature paintings and sketches. The show will run from the 27th November to the 7th December.